Take hold of the breeze by windsurfing or sailing across our crystal clear waters. 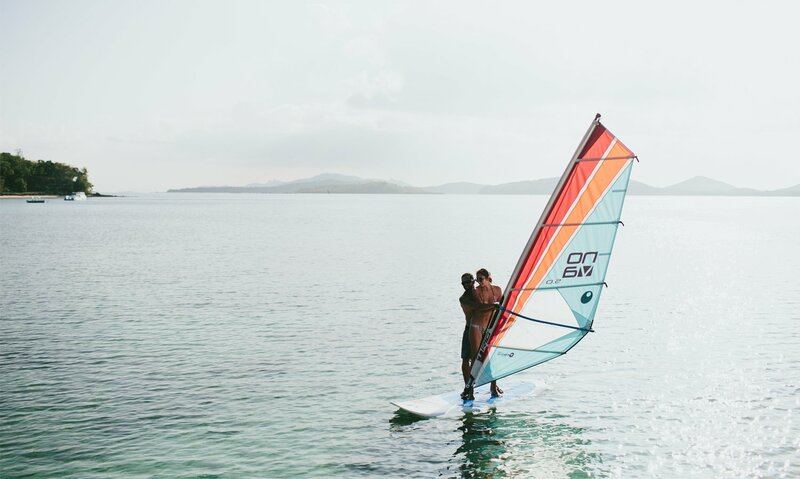 Windsurfing combines surfing and sailing, scooting you across our lagoon as the wind picks up. If you’re adventurous and skilled, feel the adrenalin rush of jumps, spinning maneuvers, and other freestyle moves. Or set sail on the gentle tropical breeze in one of our gaff-rigged Sunfish sailboats. Amble about or set sail for a tour around the island. Seeing this island paradise from the water’s edge is a special adventure.